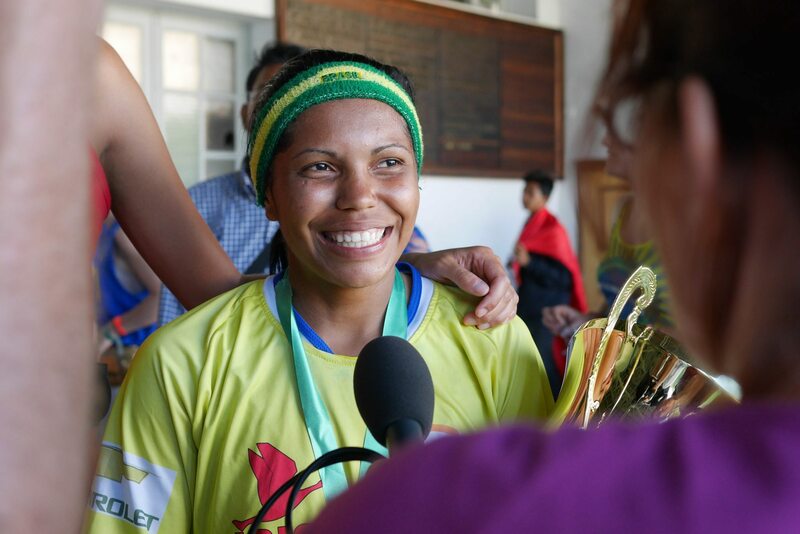 To celebrate International Women’s Day we caught up with Drika, Brazil’s captain fantastic who led her country to glory at the Street Child World Cup Rio 2014. Today, Drika continues to lead through football as a community coach at Safe Space, inspiring other girls and boys at risk of the streets in Rio de Janeiro to realise their potential, no matter their background. Drika, now 21 years old, talks women’s rights and how playing football has changed her life. SCU: Today is International Women’s Day and the campaign is asking you to #BeBoldForChange, so what would you do to make the world equal and inclusive for girls? Drika: I think society should realise that women have so much capacity to do anything. We can do anything we want. We just have to believe and chase our dreams. SCU: What was it like for you to grow up in Rio as a girl? What sort of obstacles did you have to overcome? Drika: I came from Sergipe [North East Brazil] to live with my Mum when I was 14 and she was living in a favela. There were many girls playing football in this favela so I started to make friends and play with them all the time. My life, at that time, was all about playing football and going to school. Unfortunately, there were many barriers because I was a woman playing football. Society sees you with different eyes because you’re supposed to stay at home doing laundry, washing dishes and this stuff that women do. Football was something that we loved so we never gave up because of this prejudice. 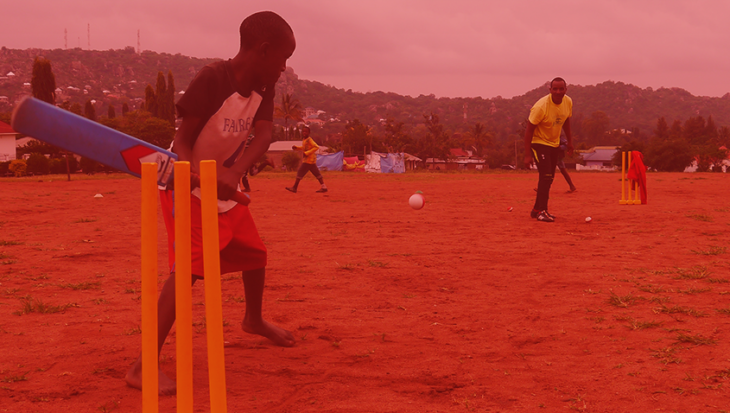 SCU: How has playing at the Street Child World Cup changed your life? Drika: When I took part in the World Cup of 2014 I felt very thankful and fulfilled, I was doing something that I loved: playing football and representing my country. Something that I have always dreamed of. I felt like a “pro” playing for my country. I was very happy. It was unbelievable. After that experience, I began to work with Street Child United Brazil teaching football to kids from Complexo da Penha.  I’m helping these kids and this is just the beginning of what I want to do – help others. SCU: At the Street Child World Cup you met girls from nine countries from around the world – what did you share and learn from them? 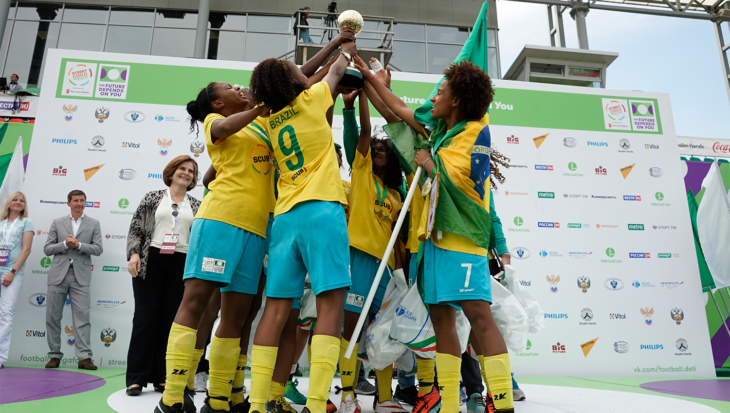 Drika: I didn’t imagine that prejudice existed outside Brazil, especially because I didn’t have understanding of what happens in other countries and later when I met the girls that played for the other countries, I noticed that this is global – the love for football and the prejudice. But, I was very happy to see that the girls had overcome the same problems that I had. What advice would you give to girls facing similar challenges to you? I think if you have a dream, you have got to have determination, you have to want to accomplish it a lot, you have to love it a lot, because problems and barriers will always appear. But regardless of all this, you have to get to your dreams, you can never give up, never, at all, because our dreams are what make us live. My dream for the future is go to university to study physical education and to travel around the world to know people’s histories who have gone through difficult situations – because they have the best stories. I want to help everybody the best way I can, especially children. I just want an equal and fairer world for us all.